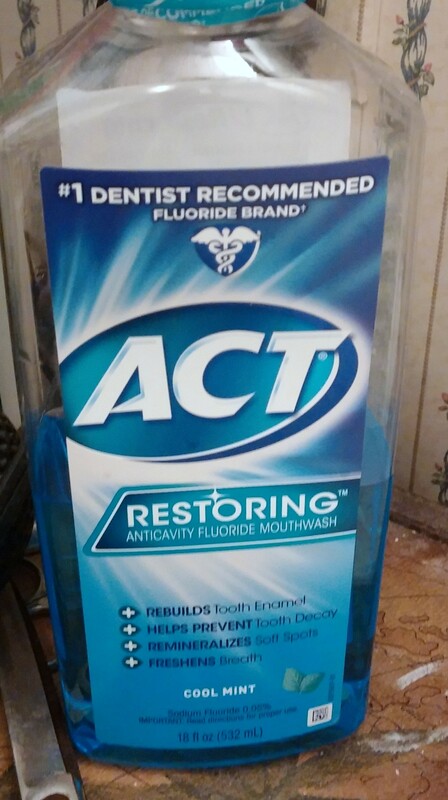 My dentist recommended this stuff to me like three or four years ago. It doesn’t have alcohol in it so it doesn’t burn or hurt which is important for a product you use every day. It helps keep enamel strong and prevents cavities. It comes in two flavors, but this blue one is my favorite. The other one is more of a spearmint taste. While on the topic of teeth, I think using harsh teeth whiting products in your twenties is a joke. We are too young to have bad teeth. You will never get that enamel back, so it’s really an unwise decision to whiten your teeth, striping them of their strength. You can’t get that back!! Maybe a natural alternative like lemon juice and hydrogen peroxide. Nothing with a lot of chemicals though.